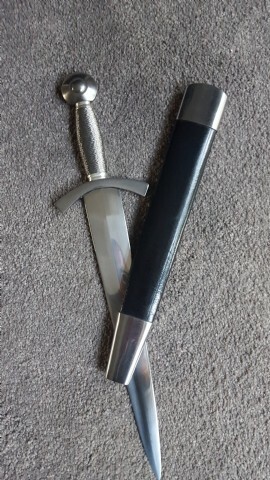 In Medieval Europe daggers were carried at all times. 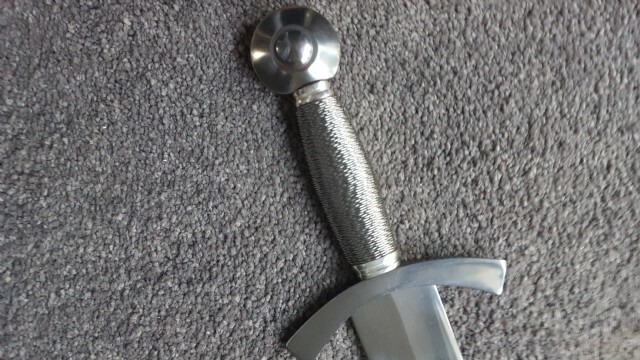 This sword hilted dagger has a curved guard and highly profiled pommel. 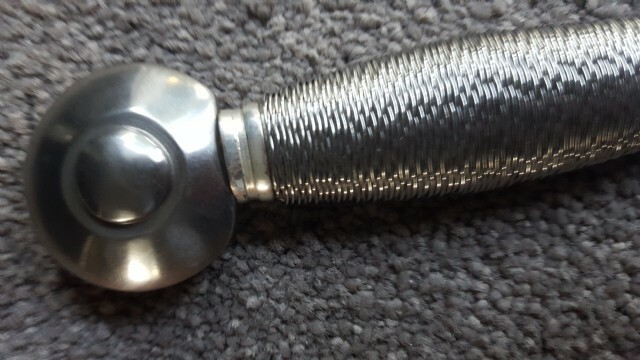 The wire wrapped wood grip is somewhat flat in section that swells toward the center. Finished off nicely with nickel plated rings. 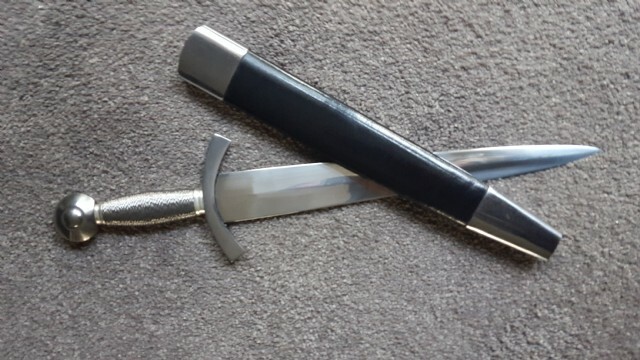 Blade 30.5 x 3cm tapered to a point.